The Canadian Geotechnical Society represents geotechnical professionals across Canada and is the primary technical society for access to technical information, technical journals and other related activities. The CGS has a membership approaching 1,400 geotechnical engineers, associated geologists and hydrogeologists and other related professionals. Members are employed in consulting, resource development, government and non-government agencies, universities and others. 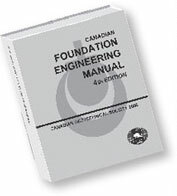 Use of the CGS logo on corporate literature in combination with the following phrase "Corporate Sponsor of the Canadian Geotechnical Society. Recognition as a Corporate Sponsor of the CGS in CGS News in Geotechnical News, CGS Geotechnical Info Net (e-News) and at the CGS Annual Conference. Recognition as a Corporate Sponsor on the home page and a separate web page of the CGS website, including inclusion of the company's logo and a 'hotlink' to the company website. The sponsorship program provides a significant opportunity to support the CGS and gain additional exposure for your company.